* About 139 different bird species have been spotted in the conservancy, which has a red data plant and a swathe of natural Transvaal grass. * A network of paths weave their web across the conservancy and an hour of exploration will be well worth while. 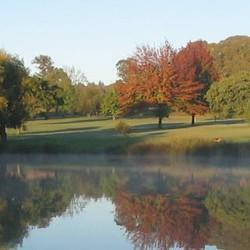 * Some lovely small dams and patches of cool, wooded areas. Alberts farm is also used on occasions by Orienteering clubs and by church groups who hold their services in the park. Dogs are welcome but bye-laws stipulates that they should be kept on leads. 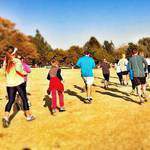 Join us on 3rd Sunday of every month for 5km walk in Alberts Farm, Joburg’s 2nd green lung after Delta Park. Dogs on leads welcome. Bring own water. Meet in Car Park off 8th Street.